The government has released further information about its Mesothelioma Bill by bringing draft legislation through parliament. This will enable people with mesothelioma to claim personal injury compensation if they are unable to trace their former employer’s liability insurance company or the liable employer. Every year, this problem affects over 300 people, who currently can find they cannot receive any compensation at all because insurance records have gone missing or insurance providers have become insolvent. As a result, the Mesothelioma Bill will be funded by insurance companies and will pay personal injury compensation to around 900 people over 2014, with another 300 people receiving compensation every year after that until the year 2024. Dependants and victims will also be able to receive significantly higher amounts of money than the statutory compensation claims currently operated by the government, with successful claimants expected to receive an average of £115,000 plus benefit recovery. Overall, around 3,000 people with mesothelioma will benefit from the scheme, receiving more than £350 million. Only people who were diagnosed with the condition after July 25th 2012 will be able to claim compensation through the scheme. 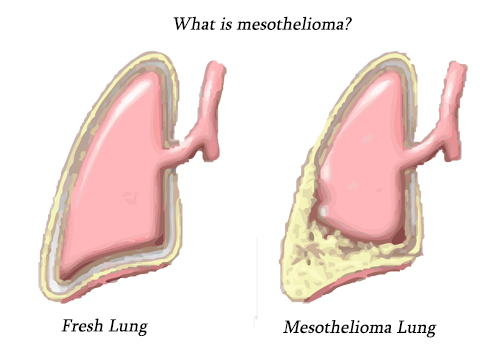 Mesothelioma is a serious lung condition that is caused by exposure to asbestos. It can take between four and five decades to become apparent in sufferers, and very few people who develop the condition will survive for more than a few years after diagnosis, with most people only living for around eight to nine months afterwards. Asbestos was commonly used in a huge range of industries due to its flame-resistant properties, but was banned outright in 1999. However, because mesothelioma affects people many years after their initial exposure to asbestos, the number of people with the illness is predicted to peak in 2014 or 2015. The Mesothelioma Act comes just as the UK approaches a peak in the number of people with mesothelioma, and it is vital for the government to ensure the legislation comes into force as quickly as possible. People who can trace a negligent employer or their former employer’s insurance company should make a personal injury claim against this party, rather than using the Mesothelioma Act. There are two other schemes available to compensate people who have developed mesothelioma. These are the Child Maintenance and Other Payments Act 2008, which provides a lump sum personal injury compensation payment of around £20,000 for anyone who suffers from mesothelioma, regardless of whether this illness was caused through workplace exposure or not. The Pneumoconiosis etc. (Workers’ Compensation) Act 1979 provides an average of £18,000 to people with mesothelioma if they cannot trace the negligent employer or their insurer. This act also makes payments to people with other dust-related illnesses.